Pattaya offers an extensive choice of daytime pastimes, beach activities, sports facilities and other great entertainment options, many right within city limits, others in the immediate vicinity of Pattaya. Big Fun for adventure seekers, couples and families, young and old, is therefore always guaranteed in Funtown. Please scroll down on this page (activities have been arranged in alphabetical order) to hopefully find just what you’re looking for. If you find something missing in our directory, want to add your venue, or simply update your listing details, please contact us. 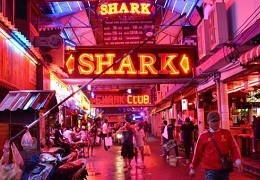 For tourist attractions and other fun things to do in Pattaya, please view our special Tourist Attractions page. And if shopping should be your favourite pastime, our dedicated Shopping in Pattaya pages can surely point you in the right direction! Do you fancy getting thrown up high into the air at totally thrilling speeds? Operating daily at night hours, 2Sky Pattaya Rocket Ball is a new amusement attraction on Walking Street offering you just that! The Rocket Ball ride consists of two steel towers with a bungee cord connected to each tower. 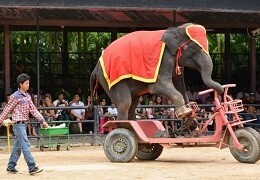 The other ends of the cords are attached to a caged steel vehicle in which two riders are seated. The vehicle is first pulled to the ground where the riders board. When the passenger unit is released from the loading station, the bungee cords engage, sending the riders on a high-speed vertical launch 50 meters into the air at speeds of 100 km/h in one second and 5G force power! To get a better idea of how this thrilling new amusement attraction works, please see their multiple-language website which also has many photos and videos. ATV Pattaya Jungle Adventures is Pattaya’s self-proclaimed “only REAL off-road ATV adventure tour”, with 90% off-road trails and 100% fun. Come and enjoy unforgettable hours of fun and adrenaline-fueled entertainment as you ride an amazing 330cc ATV Quad bike or a 260cc Fun Buggy through the stunning Thai countryside, through local jungles and farm lands, through the mud and across creeks. All ATV Quad bikes and Buggy Karts are automatic and safe and easy to drive. Free pick-up service/hotel transfer. For more details and online booking please visit their website www.atvtourspattaya.com. → 179-185/212 North Pattaya Road, Pattaya Nua. Features five “Olympic regulation” Badminton courts. Banana boats are unpowered tube-shaped rubber boats, usually pulled by a motor boat and with seating available for usually up to six people. Banana boat rides are available anywhere along Pattaya or Jomtien beach. Prices per group approximate 700 Baht for a 30-minutes fun ride. A floodlit beach volleyball court is located just before Soi 9 on Jomtien beach, approx. one kilometre south of the Dongtan police box and right opposite the night market. The area is also used for other sports events like beach soccer. Bowling Plus with 20 bowling lanes is open daily from 10am-2am. 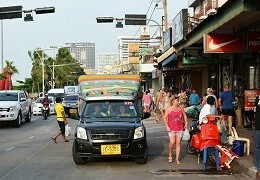 → Pratamnak Road, South Pattaya. Open daily from 8am-1am. The largest bowling center at the Eastern seaboard with 32 bowling lanes is open daily from 10am-2am. Pattaya Bungy Jump, established in 1989, was not only the first in South-East Asia but still remains the highest bungy jump in Thailand today. Feel the amazing rush by bungee jumping off a 60-metre high platform over a lake! Other activities include go-kart racing, paintball, off-road ATV and buggy riding. Open daily from 8-18h. Free pick-up service. 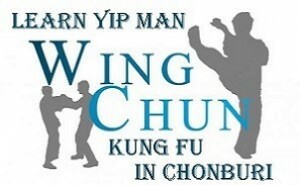 For more details please visit their website www.pattayabungyjump.com, or call 038-300 608. Run by highly experienced jumpmasters from New Zealand, England and Thailand, Jungle Bungy Pattaya is the self-proclaimed “best and safest Bungy Jump in Thailand”. The Jump is 50 metres (165 feet) high and also includes Catapult Bungy, Tandem Bungy and Water Touch Bungy. Open 9am-6pm. Free pickup service available. 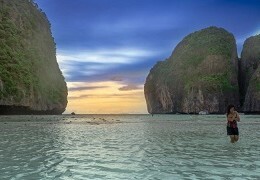 For more details, jump rates and contact details, please visit their website: www.bungeethailand.com. Cartoon Network is now bringing the ultimate in family entertainment to Pattaya. The Cartoon Network Amazone water park just outside Pattaya opened its doors to paying customers in July 2014 and is the first Cartoon Network-themed water park in the world. With an ever-growing number of family vacationers visiting Pattaya, this brand-new theme waterpark just south of the beach resort is sure to become a popular attraction particularly for families with young children. Note: Thailand’s national anthem is played before every movie, along with a short videography of the king. In order to pay respect to the revered monarch, you are expected to stand up, also as a foreigner. Prices from 120 Baht per seat. Open from 11am to 1am. Six standard cinemas with 1,610 seats. Darts can be played in over a hundred bars in Pattaya. There are even half a dozen of amateur darts leagues run by local bars and expats, and with dozens of pubs all across the Pattaya area involved. For more information, bar contact details etc. please visit www.pattayadarts.com. If you enjoy a game of darts and perhaps wish to join a team when staying in Pattaya you’ll find all the info you need there. The new Legends pool & sports bar near the junction of Pattaya 3rd Road and Pattaya Klang (Central Pattaya Road) also has a large darts area and a darts shop. 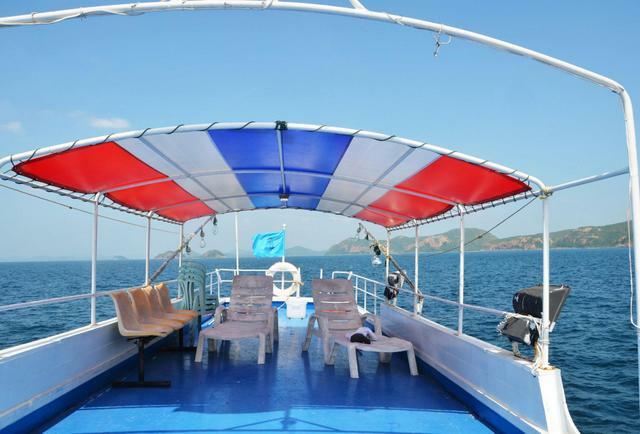 Fun fishing trips on chartered boats, with focus on togetherness and booze, are organized regularly by a handful of foreign-run bars in Pattaya as an additional attraction for their clients. Following the excursion, there’s usually a barbeque party at the venue of the organizing bar, starring the maritime delicacies caught during day. For game fishing organized by the Pattaya Sports Club, please visit www.pattayasports.org. Thai/Belgian fishing team specialized in bottom, wreck and night fishing. Jimmy’s Fishing Park features three great lakes with eight varieties of fish. A smaller lake contains fish up to around eight kilograms, while a bigger lake contains additional “monsters”. Equipment can be provided, including angling rods with fix spool reels, bait holders and hooks, plus bait of course. There’s also a social club with a well-stocked bar, good food and pool table. Apart from the more popular and well-known fitness centres listed below there’s an abundance of mostly inexpensive gyms all over Pattaya. Just check out their offers and find out whose services suit you best. Aside from the ones listed here, only Tony’s Group has 10 more gyms in the Pattaya area, including Jomtien, Naklua, Soi Buakhao, and on the “Dark Side”. More info and location maps at: www.tonydisco.com. Predominantly famous for its Muay Thai boxing school, the Fairtex Sports Club features an aerobics studio and awesome weight-lifting equipment. Other facilities include Tennis, badminton and squash courts, rock climbing, a basketball/football court, an Olympic-size swimming pool and a health spa. Opens daily from 7am to 9pm. Well-equipped air-conditioned fitness centre attached to the famous boxing school. Open daily from 9am to midnight. For more English-language information, please email sitpholek_frank@hotmail.com. Modern air-conditioned gym with focus on bodybuilding equipment; also features Thai boxing facilities, spa/sauna/steam rooms and “Japanese style” massage. Modern air-conditioned gym and fitness centre; offers aerobics, yoga, tennis courts, swimming pool, spa/sauna/steam rooms and “Japanese style” massage. Personal trainers available. Open 24 hours. With a 400-metre grass runway, ample aircraft parking and nine aircraft hangers, the Nongprue Flying Club is a great launch point for some of the best flying around Thailand, great city views and fantastic beach runs. Pilots and non-flyers welcome. Professionally managed and safe skydiving and training courses at affordable prices both for beginners and experienced skydivers. Single tandem jump only 9,950 Baht, with group discounts available. For further info about skydiving in Pattaya, please visit www.thaiskyadventures.com. Football Golf is an entertaining mix of football and golf; played with your legs and a football on an 18-hole course and to golf rules. Hole the football in as few kicks as possible! The International Pattaya Golf Club organizes and coordinates competition golf in and around Pattaya, with weekly scheduled competitions and “major” tournaments. The IPGC also negotiates with local clubs, on behalf of its member societies, to achieve the best discount rates for competition green fees and offers advice when necessary. Among others, the following golf societies currently comprise the IPGC. The Pattaya Golf Society (PGS) plays Mondays, Wednesdays and Fridays and can be contacted at the Elephant Bar on Soi Buakhao (next to the junction with Soi 21) or via their website www.thepattayagolfsociety.org. The Alternative Gentlemen’s Golf Society (TAGGS) can be contacted at The Haven Hotel on Soi 13, off Pattaya Beach Road. They play Mondays, Wednesdays and Fridays. The Jomtien Golf Society can be contacted at Siam Cats bar on Jomtien Soi 5. They play every Monday, Wednesday and Friday. The golf group at The Links Hotel on Soi Buakhao departs at 9.30am every Tuesday and Thursday. Located in Pattaya’s countryside near the Mabprachan reservoir, the Horseshoe Point’s “international riding school” features pleasure and pony rides for beginners, riding lessons and “art of classical riding” instructions, including dressage and show jumping. The Horseshoe Point periodically also features shows and performances in the “art of classical riding”. Five riding arenas, including one Olympic arena; two polo clubs adjacent. Jet skis are available for rent anywhere along Pattaya and Jomtien beach, with rates starting at around 700 Baht for a 30-minute fun ride. 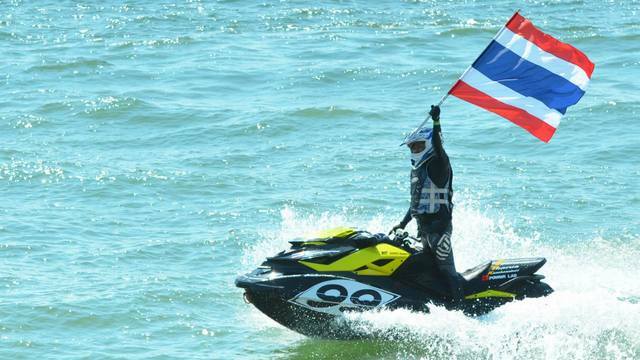 While a jet ski ride may be an integral part of a visit to Pattaya beach for some, you’re advised to be aware of the notorious scams where jet ski operators try to extort and extra-charge you for alleged damages to the vehicles (or simply overcharge you for real damages). There is no insurance and Pattaya’s police force isn’t particularly famous for being helpful in such cases. 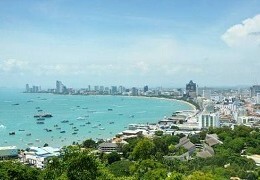 Pattaya’s most popular jogging paths are the beach promenades along Pattaya and Jomtien beach. The Pattaya Fitness Park on Pratamnak Road (Big Buddha hill in South Pattaya) features a jogging track in pleasantly landscaped surroundings. Jogging enthusiasts ambitious enough to compete in long-distance running may consider taking part in the popular Pattaya Marathon, organized every year in July.